Run Rabbit Run is a weekend event featuring two world class mountain ultra marathons. Some of the world's greatest endurance athletes attempt to complete these arduous 50- and 100- mile footraces, through the mountains around Steamboat. 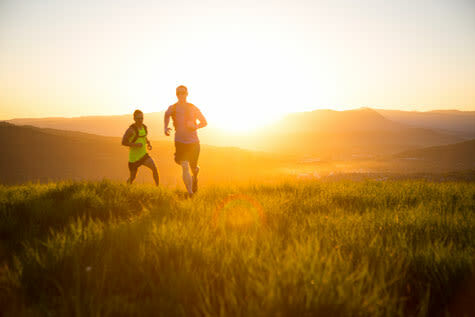 The 50M and 100M ultramarathon trail races start at the base of the ski area and will take participants along the beautiful Continental Divide trails and a variety of trail networks in Steamboat Springs. The 100-miler features 21,000 feet of vertical gain and loss; the 50-miler, 9,000 feet. The 50M race is limited to 200 participants and the 100M is limited to 350. This race benefits the kids of northern Colorado. Get excited to run by watching the race video here.